This is an outreach effort by Rhema’s family to benefit and encourage families who have to take their children to Children’s Hospital in Birmingham, AL for medical treatment. This hospital is the third largest pediatric hospital in the nation with around 400 beds and 760,000 sq-feet of space which means lots of walking around to get the specialized care these kids require. 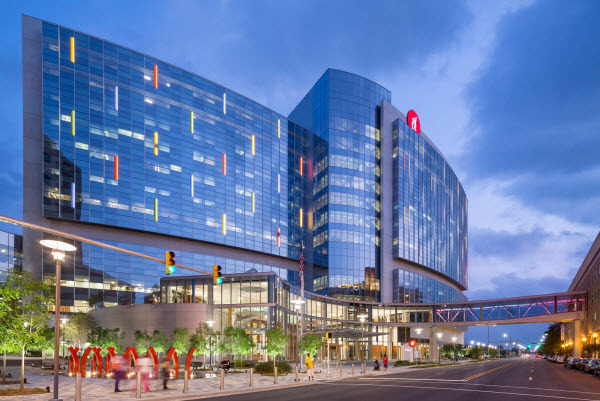 Unlike a traditional hospital, Children’s Hospital maintains donated Radio Flyer wagons instead of wheelchairs for their patients to use to get around the facility for the duration of their stay at no charge. 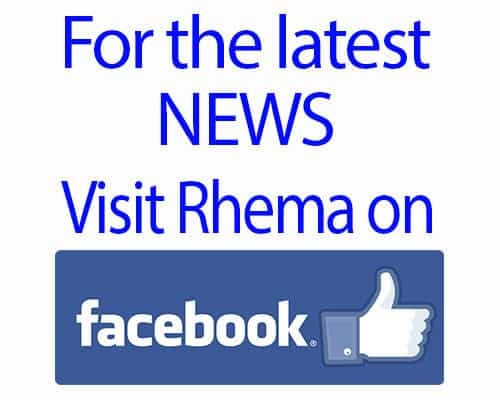 WHAT DOES RHEMA HAVE TO DO WITH THIS? Rhema and her family have used these wagons so many times to do things like move her personal items and tour her around the scenic views and family areas within the hospital after medical treatments. Right from the parking deck, we would start looking for just the right wagon that she would like and one that had a good scripture or word of encouragement on it. For kids, a Radio Flyer wagon is just too cool, plus to not have to use a wheelchair is psychologically better for both the kids and parents. After personally experiencing this, we wanted to do what we could to make sure they had enough wagons to go around for everyone. HOW DOES THIS WORK AND WHO PAYS FOR THE WAGONS? For local organizations, we will pick up the prepared wagons from you and personally deliver them to the hospital or you can send your own representatives. If outside of our pick-up area, the wagons will need to be shipped. WHAT WAGONS DO WE BUY AND HOW MUCH DO THEY COST? We talked to representatives from the hospital to see what worked best for them and the families. One of the problems they have is that many of the donated wagons are the cheaper kind that are less durable and have a very shallow bed, which means a child could fall out easier. 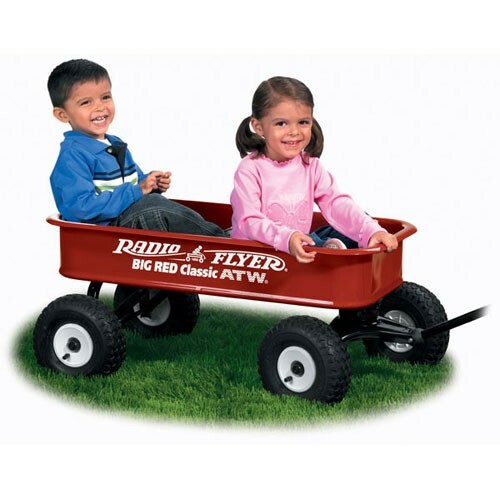 They recommend the Radio Flyer “Big Red Classic ATW” (model #1800) which has the all-terrain tires and the deep bed or the Radio Flyer “All-Terrain Steel & Wood Wagon” (model #32) which has the same tires but uses the standard bed and wooden panels. 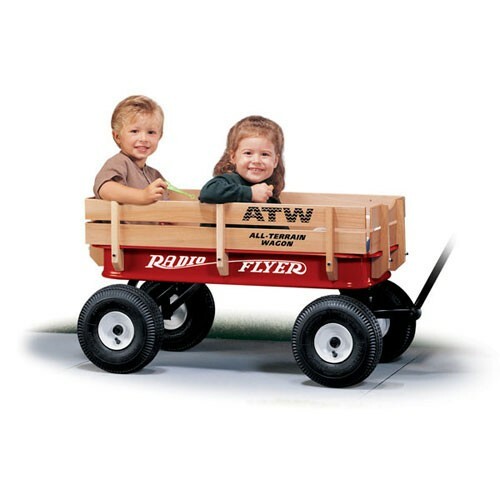 The Big Red Classic ATW (pictured on the left) direct from Radio Flyer with ground shipping costs around $145 and the All-Terrain Steel & Wood Wagon (pictured on the right) direct from Radio Flyer with ground shipping costs around $171. You may be able to find better prices or offers at various times of the year from other sources, but this gives you an idea of how much to budget. WHAT IS THE TIMELINE FOR WAGON DELIVERY? Participants purchase wagons and have delivered by second week of January. All wagons must be decorated by the end of January. We are partnering with local Boy Scout Troops to host a Pizza Party/Wagon Assembly Day the first week in February. Eligible scouts earn service hours and potentially earn badges for participating. The Rhema Miracle Team will deliver all wagons around Valentine’s Day to Children’s Hospital as an Outreach event entitled “Show Some Love”! Participants are welcomed to come and join our Team! If you have any questions, just contact us using the form below. Thank you for your support!